Services for Bertie Bass will take place Thursday, April 18, 2019 at First Baptist Church of Terrell, Texas with the visitation starting at 10:00 A.M. and the service at 11:00 A.M. Pastor John Lowrie will officiate. Interment will take place at 1:00 P.M. at Laurel Oaks Memorial Park in Mesquite, Texas. Darin Seabourn, Dawson Seabourn, Dacota Dennis, Brandon Kaufman, Sam Bass, and Jason Bass will serve as pallbearers. First Baptist Church is located at 403 N. Catherine St., Terrell, TX 75160. Laurel Oaks Memorial Park is located at 12649 Lake June Rd., Mesquite, TX 75180. Bertie was born November 12, 1928 in Daingerfield, Texas to parents Preston and Lyda (Finley) Hass. 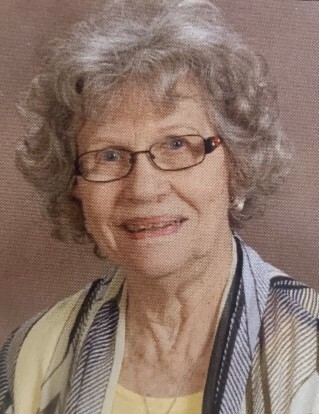 She passed away just after midnight Tuesday morning, April 16, 2019 in Dallas, Texas. She was 90 years of age. Bertie is preceded in death by husband, JW Bass; son, Jerry Bass; and great granddaughter, Bailee McNear. She leaves behind to cherish her memory her daughter, Carolyn Seabourn and husband Kenneth of Forney, TX; daughter, Gaila Bass-Sizemore and Cary Sizemore of Heavener, OK; grandchildren, Darin Seabourn and wife Deborah of Forney, TX, Alecia Kaufman and husband Brandon of Forney, TX, Jason Bass and wife Niki of Huntington, TX, Sammie Bass and wife Sarah of New Orleans, LA; great grandchildren, Kendall Seabourn and fiancé Dacota Dennis, Dawson Seabourn and girlfriend, Ashley Yates, Cade Seabourn, Kyle Kaufman, Kamryn Kaufman, Ashley Bass, Remi and Emmitt Bass. She also leaves behind numerous extended family, dear friends, and her church family. In lieu of flowers, donations may be made to First Baptist Church of Terrell, Texas. Arrangements are under the care of Laurel Oaks Funeral Home. Please call 972-288-4663 for more information.